It is our commitment to use our design talents and skills and our passion for detail and beauty to create the extraordinary. Enchant that special someone with this extraordinary arrangement. To get exactly the same arrangement, please place your order two days before the delivery date. If you want same day delivery, we can create similar arrangement with available flowers. Some flowers in the arrangement may be seasonal, please check with us before ordering. If the floral container shown online is not available, a similar container will be used. Wow them with lavish flowers by Lilit's Flowers! With beautiful arrangements for love & romance, modern flowers, a wedding or for an anniversary, these stylish arrangements will truly anyone. When only the best will do, we have it covered with lush and exotic flowers. Luxurious arrangemnets from the our website can be available for same-day delivery in Glendale, CA. 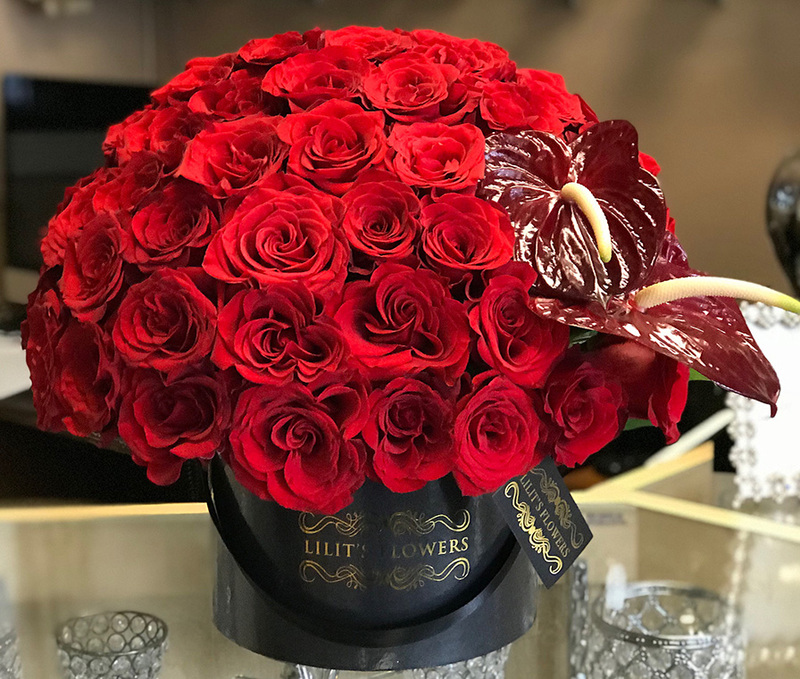 Romance isn't just for Valentine's Day, celebrate your love every day with a romantic gift from Lilit's Flowers! From romantic roses to modern masterpieces, we have the perfect flowers to express your emotions! Your romantic flowers can be delivered locally to Glendale, CA and surrounding cities.